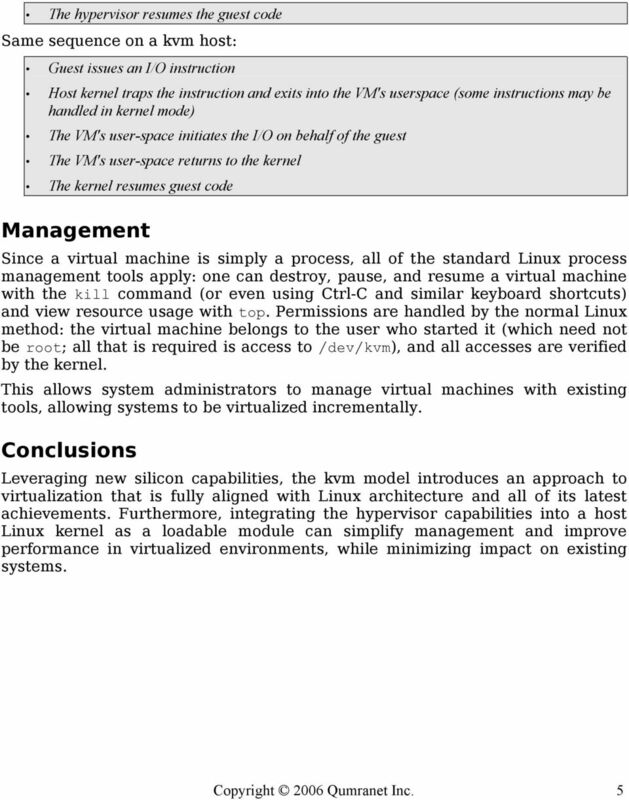 Download "KVM: Kernel-based Virtualization Driver"
Corporate Technology Architecture of the Kernel-based Virtual Machine (KVM) Jan Kiszka, Siemens AG, CT T DE IT 1 Corporate Competence Center Embedded Linux jan.kiszka@siemens.com Copyright Siemens AG 2010. 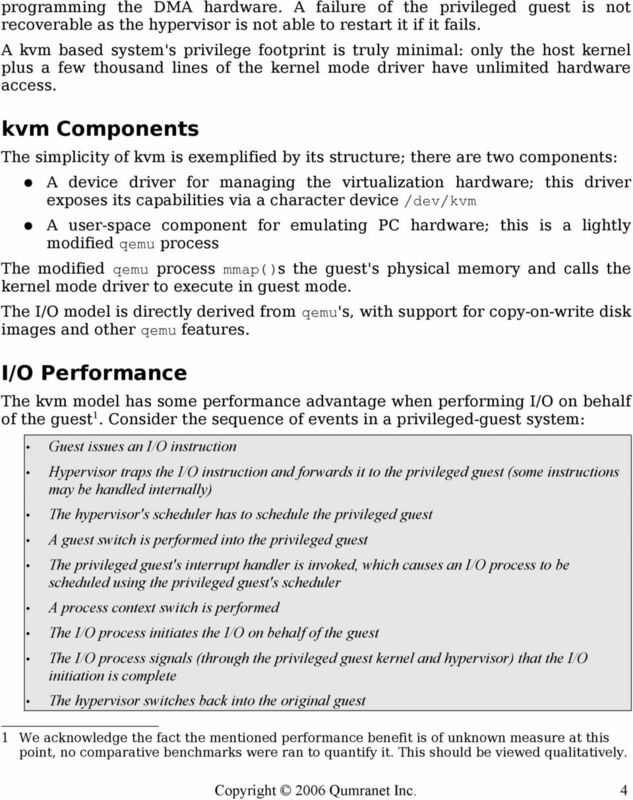 Home Search Collections Journals About Contact us My IOPscience A quantitative comparison between xen and kvm This content has been downloaded from IOPscience. 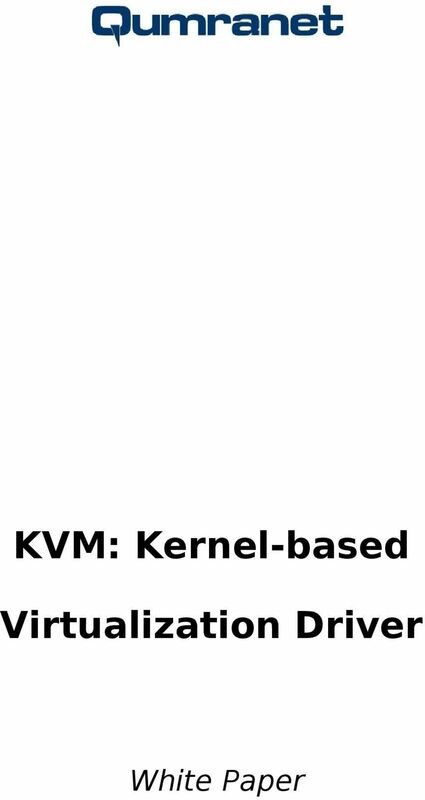 Please scroll down to see the full text. 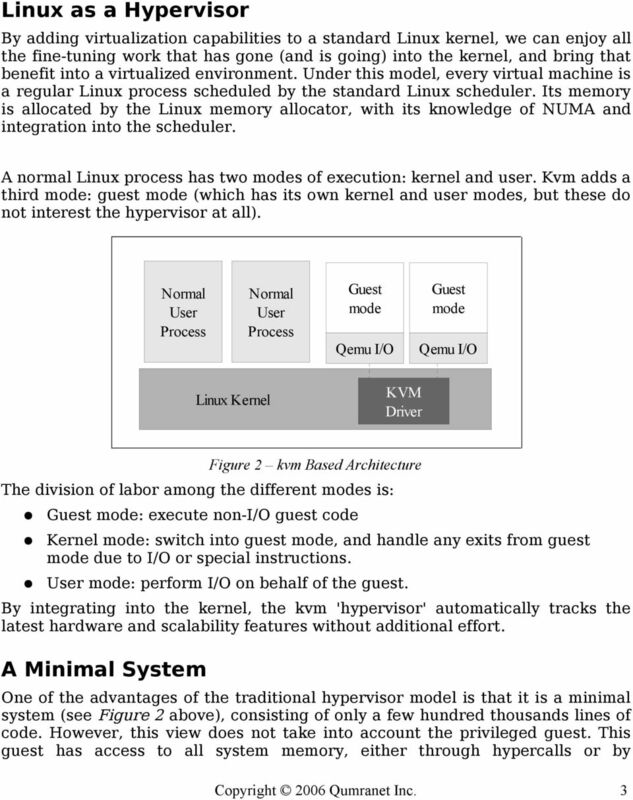 High-performance vnic framework for hypervisor-based NFV with userspace vswitch Yoshihiro Nakajima, Hitoshi Masutani, Hirokazu Takahashi NTT Labs. 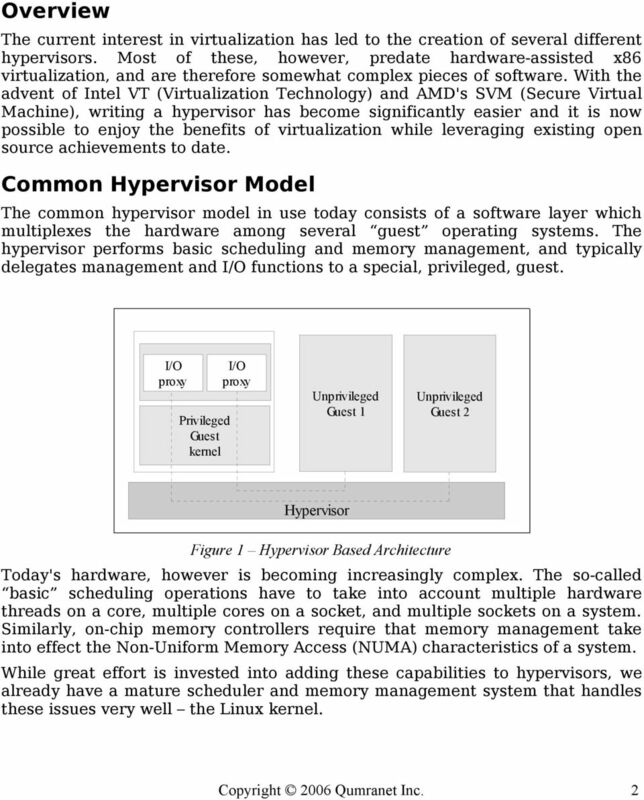 Intel s Virtualization Extensions (VT-x) So you want to build a hypervisor?